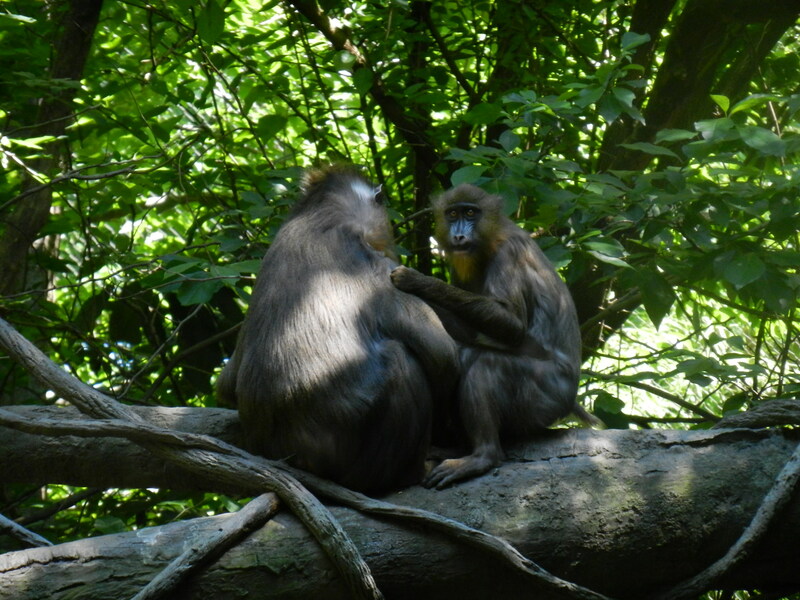 I went to the Bronx Zoo on Sunday, June 17th. It was a nice day, warm but not hot, with plenty of sun but luckily plenty of shade too. There were plenty of people there but it was just short of being crowded. I managed to take almost a hundred pictures with my Nikon Coolpix. I upgraded from my old Olympus, which was a nice camera but it was starting to get old. The Nikon has a much better zoom and better features. I still prefer old-school SLR cameras but for my purposes this is enough of a camera for the zoo. Much as I like this picture I can’t take too much credit for it. That bird (I’m sorry but I forgot what it is) stayed in the position the whole time I was there, just shuffling around a little on the branch. I think it was showing off. and never once did he turn around to face the camera. The same picture as above, uncropped. Typical monkey (gibbon?) pose, but this guy is looking right into the camera and makes the shot. 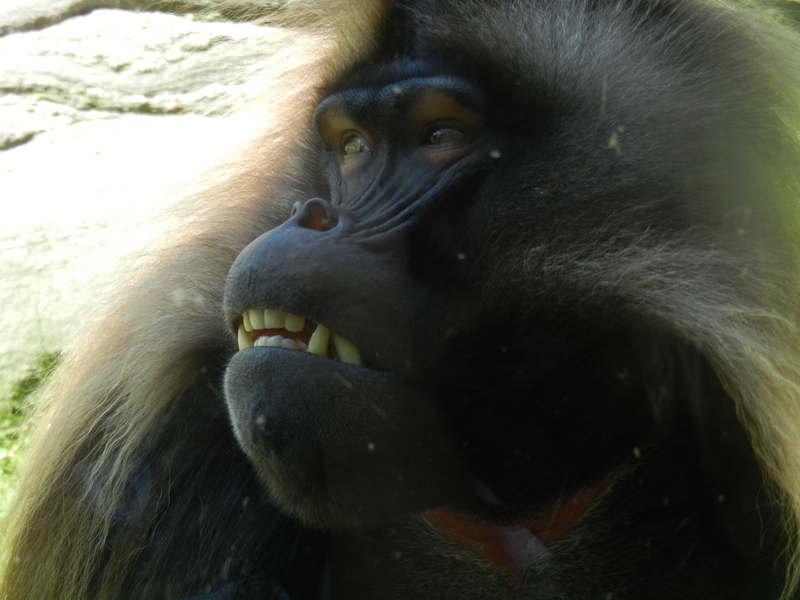 This baboon was right up against the glass and spent his time either ignoring us or showing us his fangs. You can’t tell from the picture but she’s about five feet tall. 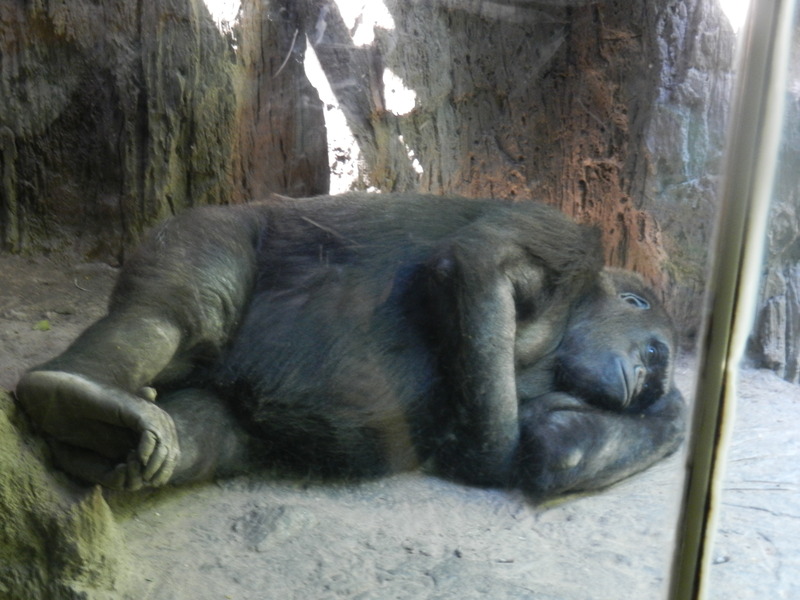 Sleepy gorilla. My friend thinks he is sulking. 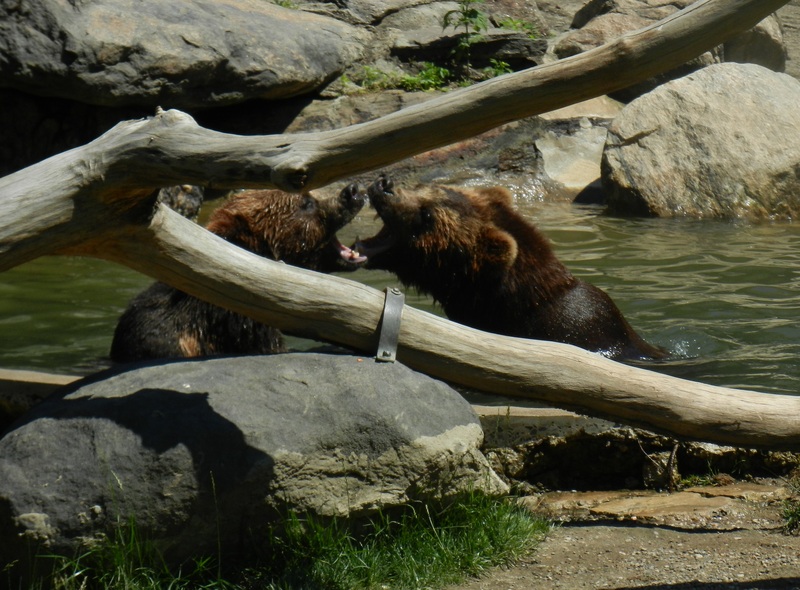 Most of the animals were taking it easy in the pre-summer heat. Can you blame them? For me it is the primates that make the zoo worth visiting. 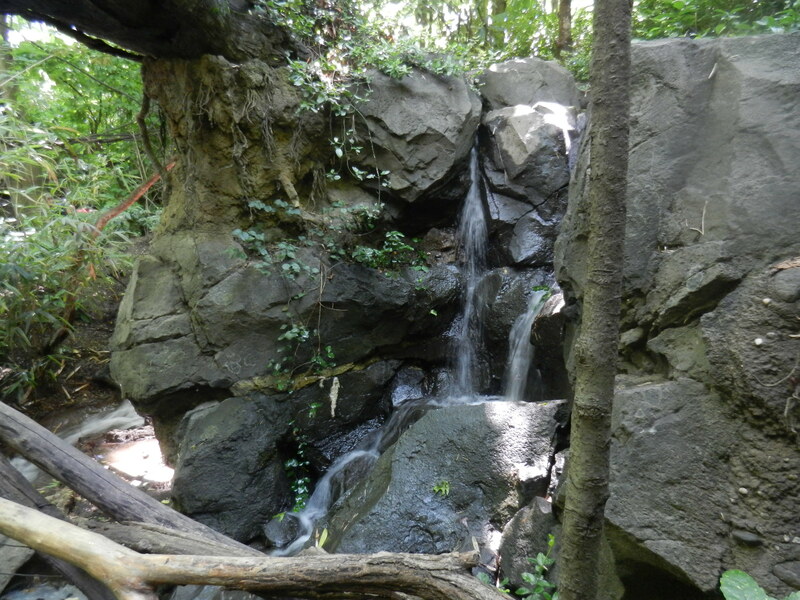 No animals here, just some of the scenery at the zoo. 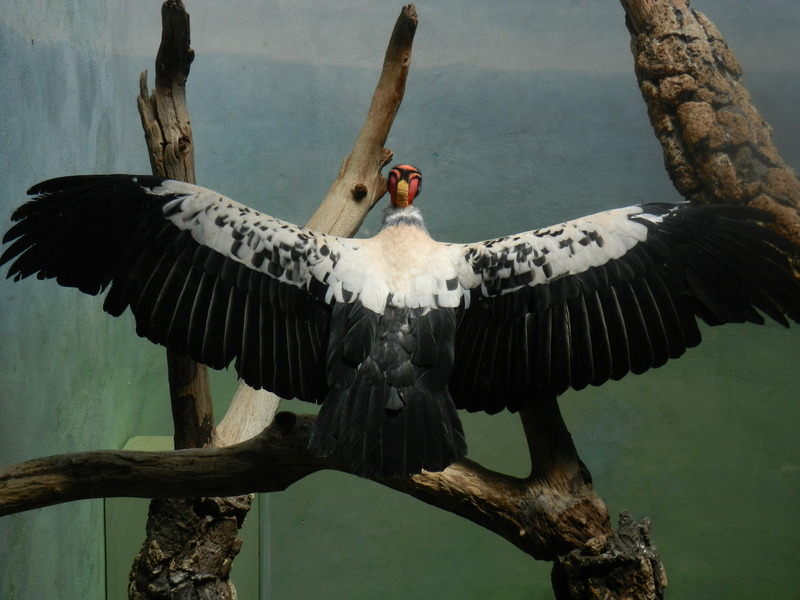 Going to the Bronx Zoo is (or to be more accurate, the Wildlife Conservation Society) is like going to another world. I know that is a cliché but when you are there you forget that you are in New York. With the summer heat coming on us now is the perfect time to go.